At a recent roundtable discussion, Warner Bros. technology director Ethan Applen commented on BitTorrent and P2P's bad reputation in the entertainment industry. Applen said that P2P is not the bad guy some Hollywood insiders claim it to be, but actually a great way to transfer TV-episodes and entire seasons. Warner Bros. is one of the companies that have spent a huge deal of time and money in trying to get the people behind The Pirate Bay put in jail. The same company is also going after Aussie ISP iiNet, initially claiming that the Internet provider engaged in primary acts of copyright infringement because its customers distributed copyright works using its network. 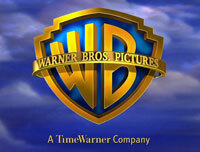 It therefore came as a big surprise to hear that Ethan Applen, director of technology and business strategy at Warner Bros., stated at NewTeeVee’s Video Rights Roundtable that P2P technology doesn’t deserve to be blamed for the fact that some people use it to download copyright infringing content. Applen’s comments are at odds with the legal strategies of the Hollywood studio, where its lawyers continue to blame the providers of technology for the activities of their users. If Warner Bros. indeed believes that P2P technology is not the villain, then they should inform their lawyers or withdraw from the court cases they are currently involved in. Applen appeared together with Bram Cohen in the roundtable session, where worryingly some of the attendees admitted hating the BitTorrent inventor for creating his famous file transfer protocol. Aside from praising P2P for its speedy delivery of TV-shows, Applen also mentioned that it is a good marketing tool. This is no surprise as a Warner Bros. executive previously admitted to leaking a pilot of Pushing Daisies on BitTorrent in order to “help the cause”. Bram Cohen himself also gave several example of how ‘unauthorized sharing’ via BitTorrent may have helped content creators. He mentioned that the leak of an unfinished copy of X-Men Origins: Wolverine might have boosted interest in the film, and he noted that BitTorrent may have also helped the anime business to grow. Despite all the positive comments on the use of BitTorrent and P2P in general by this Warner Bros. executive, we can’t help wondering why they are still pouring millions into ridiculous anti-P2P lawsuits that haven’t decreased piracy a single bit. BitTorrent Turns 10: Happy Birthday! c There are 76 comments. Add yours?